Join our 2 day FinTech Academy and be part of a truly innovative, transformational and exclusively designed session. Within the 2 day programme you will be immersed in the global FinTech trends which are relevant to your career advancement and your executive decision making in this area. The deep immersion session delivered by international experts in this field will enable you to gain exposure to, and give you a comprehensive understanding of key areas of FinTech which would normally take between nine months and a year to attain in normal working circumstances. Futureproof your career and your organisational strategy. Learn from the mistakes already made in the developed economy and gain an understanding of how these learnings can be best applied to Africa. What type of collaborations exist? CEO of FINTECH Circle and Chairman of FINTECH Circle Innovate focused on driving the innovation agenda of established financial institutions. 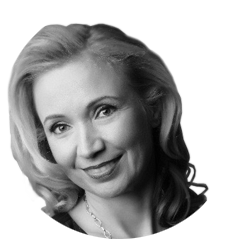 CEO of FINTECH Circle, Europe’s 1st Angel Network focused on Fintech. Co-Editor of “The FINTECH Book” – the 1st Crowd-Sourced Book on Fintech globally. Recognised in the European Digital Financial Services ‘Power 50’ 2015, an independent ranking of the most influential people in digital financial services in Europe. Selected as one of the 100 leading FinTech Influencers globally by Onalytica (published in Sept 2015), top 100 Women in FinTech and top 15 FINTECH UK twitter influencers. 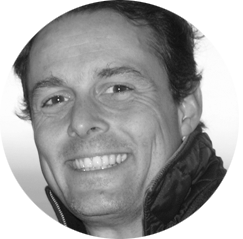 Senior Capital Markets Manager, Entrepreneur and Investor with strong FINTECH expertise. Mentor, Judge & Coach at FINTECH Conferences & Accelerators such as SWIFT Innotribe , Cambridge Judge Business School Accelerator, Fintech Startup Bootcamp and Barclays TechStars Accelerator. More than 20 years’ experience across Deutsche Bank, Lloyds Banking Group, Morgan Stanley , Accenture and HP in London, Hong Kong & Silicon Valley. Selected top UK FINTECH Influencers by City A.M.
CEO of FINTECH Circle Innovate. A FinTech founder and entrepreneur, mentor and advisor with a strong track record at board and general management level across international markets. A deep industry capability in Financial Technology markets – payments, wholesale banking, transaction services, forex; retail and supply chain. Active in the London start-up acceleration and incubation scene working as an advisor and mentor to Level39, StartupBootcamp FinTech, London Tech Advocates – Women in Tech and FinTech workstreams, a founding member of FINTECH Circle Angel Network and Microsoft Ventures and judge SWIFT Innotribe and BNP Paribas Global Hackathon. Voted Top 100 Women in FinTech by Innovate Finance and included in the Power Women of FinTech. 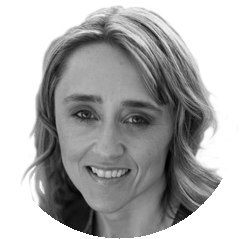 More than 20 years commercial experience in software working at SAP, HP, Sage and Nokia specialising in customer engagement and acquisition, business model implementation, product development and innovation management, brand and go-to-market strategy implementation. Conduct and Culture coaching for senior management, risk professionals and trading staff at global banks and outsource providers, covering the latest regulatory trends and pitfalls in the competitive drive to innovate, such as behavioural bias and customer outcomes. Coordinating global Academic Institutions, industry participants and the regulator, towards a pan-industry forum for the Banking and Financial Services industry to address emerging regulatory challenges, such as the explosion in FinTech to enhance competition and the drive to strengthen accountability and ethical behaviour to rebuild public trust in banking, support market integrity and underpin economic growth. Redesigned and relaunched Global Compliance Career Academy at Barclays Bank to rebalance technical training, contextual knowledge and behavioural skills in partnership with Cambridge Judge Business School. Designed new Compliance organisation and programme while advising build project heads and their teams on Regulatory issues on build project for new challenger Business and Retail Bank (Williams and Glyn) at RBS. Transformed and rebuilt Corporate and Business Banking Compliance for Barclays. Head of Investment and Corporate Banking Compliance at Bank of America Merrill Lynch for Europe, Middle East and Africa. Investment Banker and Operating Officer at HSBC Global Investment Bank. Diplomat, British Foreign and Commonwealth Office. 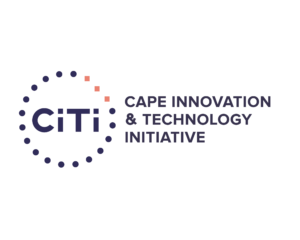 Ian Merrington is CEO of The Cape Innovation and Technology Initiative and The Bandwidth Barn. Ian also sits on the advisory boards of the University of Cape Town’s Information Systems department and also the Computer Sciences department and is a lead mentor for the Barclays Techstars programme in Cape Town. 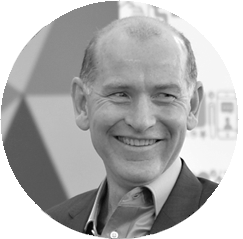 Ian is passionate about the role of innovation in solving the challenges faced by modern societies. He believes that FinTech and the blockchain have enormous transformative potential in Africa and that inclusive innovation can improve lives across the continent. In his current role, he has a focus on supporting and incubating inclusive tech enabled innovation, creating job ready candidates for the ICT sector and also accelerating tech entrepreneurs, specialising in FinTech, EdTech and Data. We combine the leading fintech innovation, knowledge and business ecosystems of fintech entrepreneurs, investors, intrapreneurs, authors and fintech thought leaders of 17, 000 members globally. As a leader in “innovation as a Service” supporting corporate innovation, we lead the WealthTECH Practice – a platform connecting leading edge fintech firms with corporate partners across Asset- & Wealth- Management. FINTECH Circle also runs Europe 1st Angel Network, focused on fintech investments accelerating innovation, connecting ecosystems and shaping the new generation of financial services. 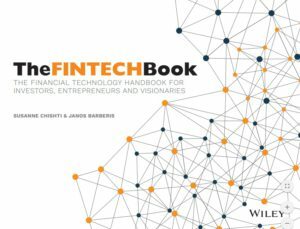 “The FINTECH Book – The Financial Technology Handbook for Investors, Entrepreneurs and Visionaries” published by Wiley in 2016 has become a global bestseller. If you need more information about Fintech Academy Africa, contact us.